If you want to lose weight before the summer, eating foods that boost your metabolism is the easiest way to burn as much fat as possible. Some foods have a very high thermogenic effect meaning you literally burn calories as you eat. Others contain particular compounds and nutrients that will help stoke the fire of your metabolism. Eat plenty of these foods and you will give yourself the extra support to achieve a lean body ready to hit the beach. Your body burns twice as many calories breaking down whole grains such as brown rice, wholemeal flour and oats, than processed foods. Their high fibre content also means they fill you up faster, which reduces the number of calories retained during digestion. No need to avoid snacking when you’re chilling in front of the TV. Homemade popcorn provides wholegrain, fibre and antioxidants but without the sugar-hit of commercial brands. 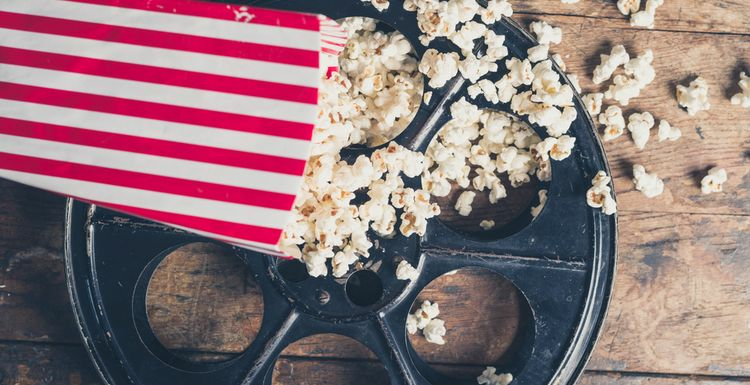 The process of munching and digesting air-popped popcorn is also a major metabolism booster! Add cinnamon, salt, dried rosemary or parmesan for healthy flavourings. Protein-rich foods such as lean cuts of chicken, beef and turkey have a high thermogenic effect meaning that during digestion you burn around 30% of the calories you consume. Studies have shown that people who eat plenty of protein burn around twice as many calories after a meal as those who don’t. Plus, think of all those muscle-building nutrients! Caffeine is a natural stimulant which helps you burn calories even while at rest. It also increases heart rate, which helps free fatty acids in the blood, ready for burning. Green tea also contains a compound called ECGC which studies show can temporarily boost metabolism. Drink four cups a day to shed more weight. These tiny legumes provide inositol and choline, which help your body burn fat instead of storing it. Their high protein and fibre content also helps to keep you feeling full. Try a summery lentil salad with feta cheese – great for portable lunches and picnics. If you like spicy food, you’re in luck. Peppers contain the heat-producing compound capsaicin, which raises heart rate and metabolism. Studies show eating a spicy meal can actually boost metabolism by around 25% for up to three hours. popcorn? Who knew? Hopefully it is more air than food so I can indulge and not pay a penalty. that's interesting that some foods take more calories to digest than others. Sadly the idea of negative calorie celery appears to be, er, pie in the sky! I have 4 cups of green tea every day, love chillies and only eat whole grains. I never have any weight issues. It's probably down to the rest of my healthy diet, too but good to know I'm on the right track.